Notes: 1850 - 1961. In the summer of 1850 a small log house located on John T. Chandler’s land in Section 10 of Primrose Township was opened as a school. 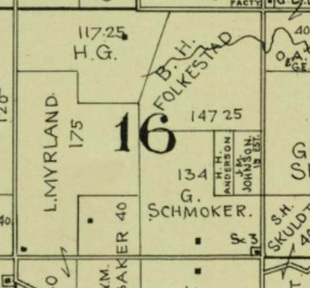 By 1857 this small school was inadequate for the growing population and it was decided to build a frame schoolhouse on nearby Moses Chandler’s land. Stone from the quarry on Jacob Jacobson Hanna’s land was used to build the foundation of this new 24x30 foot school. It wasn’t long before the location of this school was deemed unsatisfactory and on October 17, 1868 the people decided to build a new school. 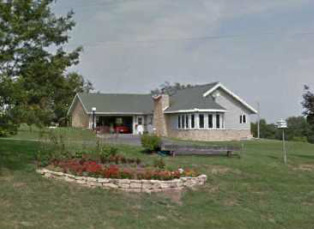 The Township purchased the old school for use as a town hall and built a new stone building in the SE corner of Section 16 on land owned by Knut Johnson Revelend. Again, the Jacob Hanna quarry provided the stone. 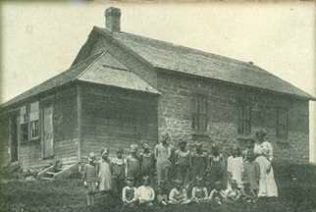 This new school became known as Hanna School and opened in the Fall of 1869. In 1870 students from the Ash-Dixon School attended the Hanna School for a time including Robert M. LaFollette. In June of 1955 the old Chandler School which had been used as a town hall for nearly a century was destroyed by a tornado. In 1961 it was decided by members of District 3 to close the Hanna School and join with the New Glarus, Belleville and Mt. Vernon districts for grade school. The school building was sold to the Town of Primrose and on July 29, 1962 the school district gave the keys to the Town of Primrose. In the Fall of 1987 a private party purchased the Town Hall and reconstructed it into a private residence integrating some of the original stone and parts of the building into the new design. It stands as a lovely private residence today.